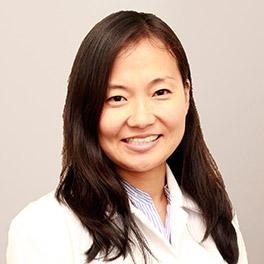 Katherine Kim is a dedicated and diligent gastroenterologist serving the communities of Newburgh and Middletown, NY. Dr. Kim attended the Ewha Womans University School of Medicine, where she received her medical degree. She completed her residency in internal medicine and fellowship in gastroenterology and hepatology at Rutgers, the State University of New Jersey. Dr. Kim is a part of Crystal Run Healthcare. She is board certified in gastroenterology by the American Board of Internal Medicine. Because Dr. Kim is bilingual in English and Korean, patients from a variety of backgrounds enjoy having her as their physician. Apart from treating her patients, Dr. Kim enjoys traveling, visiting museums, running, yoga, and shopping. Dr. Kim is devoted to ensuring the longevity of her patients’ health and developing long-lasting relationships with them. She takes her time to understand symptoms and give correct diagnoses to ensure the continued health of all her patients. Dr. Kim is warm, friendly and knowledgeable. She took the time to answer all of my questions and helped me feel at ease. The nurse was patient and nice as well. Dr Kim was very professional, thorough with her examination, easy to talk to and receptive to all my concerns. I highly recommend her! She's a caring doctor, listen and pay attention to you. Dr. Kim is amazing. She took her time and answered all of my questions. I highly recommend her. Dr. Kim was very knowledgable, open to all my questions, helped me feel heard & reassured. I am very grateful to have found her. She's a keeper! I felt she understood my condition and was able to offer a reasonable course of action. Dr Kim took her time with me. Answered all my questions and was very informative about the concerns I had. Excellent doctor. Dr Kim is so personal and caring. She has excellent bedside matter. Dr. Kim and the nurse that saw me were calming, kind and thorough. Happy to see them again for any health concerns! She is thoughtful, courteous and personable. Very knowledgeable and helpful. She is an amazing doctor. She listens to all your concerns and questions. She tried to find the problem quick to relieve your pain. She is a great doctor!! She’s a very caring loving dr that wants to make sure her patients are comfortable healthy and ok. I liked the fact that she listened to what I was saying and understood me. I was very pleased. Dr. Kim is honest and personable. She listened carefully to my concerns and clearly shared my options. Highly recommended! Dr. Kim was very attentive and answered all of my questions and concerns. I didn't feel rushed at all. I have already recommended Dr. Kim to a few family members. Dr. Kim is a great, attentive, patient & caring. Dr Kim made me feel very comfortable. She took her time with me, asked plenty of questions and was very thorough. I would highly recommend her! She was great! I felt extremely comfortable, even while discussing an extremely delicate embarrassing matter! She was polite, friendly & supportive all the while being professional. Dr. Kim is vary pleasant and caring. She was thorough, attentive and listened to what I had to say! She came up with an individualized plan for me after hearing about all my symptoms. Highly recommend her! Dr. Kim was so sweet and attentive. Very thorough as well. I really like her. Dr. Kim was very patient and concerned about my issue. She took the time to ask questions and talk to me about other problems I could encounter. Dr. Kim also suggested some procedures I should think about at my age. Dr. Kim is very attentive and knowledgeable. She makes me feel very comfortable and always helps my issues. Immediately was brought into office. Nurse was very pleasant and nice. Dr. Kim was lovely! Warm, patient, asked a lot of questions. Would recommend! My visit was efficient because I received prompt attention from the front desk to the doctor. Dr. Kim was attentive and addressed each of my concerns and answered all my questions. She was very informative and seemed interested in my worryabout my symptoms. Although my diagnosis is not confirmed I am confident in Dr. Kim's ability to treat my condition. I already feel better after my visit with Dr. Kim. This was my second visit with Dr. Kim and I was very excited to report to her that the changes she had made with medications and the suggestions she had given had made a remarkable difference in my overall health. Notonly were my stomach problems better but I was able to lose 51/2 pounds in the time between appointments. Dr. Kim has a remarkable bedside manner, by showing she cares but is very smart and most importantly always listening. She is a great addition to this department. Dr Kim reallyseemed like she wants to get to the root of the problems and work on finding the proper treatment . Dr. Kim was professional, yet very personable, and informative about procedures and displayed knowledge of my history. She is fantastic, and I have complete trust in her abilities to care for me ! Dr. Kim and her staff were very professional and very personable. I would highly recommend her!! Dr. Kim greeted me with a smile and warm welcome. We discussed my medical needs and she answered questions I wouldn't have known to ask. She is smart, excellent at communicating in a way for me to understand my upcoming procedures.Overall as a first visit with Dr. Kim, it went very well. She's amazing. Listens, answers questions, explains everything and makes you feel comfortable and at ease. Answered all questions and listened to my concerns. Dr. Kim was warm, friendly and knowledgeable. She was also on time, but we shouldn't rate doctors by the wait time as some patients may need more time spent on them. Honestly had a great experience with Dr. Kim. She was kind and patient. She explained things clearly. Overall a positive experience. Would recommend to anyone. Absolutely look forward to care under Dr Kim. Great bedside manner. Very mind and thorough. She was understanding and could relate to the situation.